Stephen Colbert sits down with Maurice Sendak to discuss the abysmal state of children’s books. It’s hilarious! Wait til the end of the interview to hear what Mr. Sendak has to say about eBooks being the future of publishing. 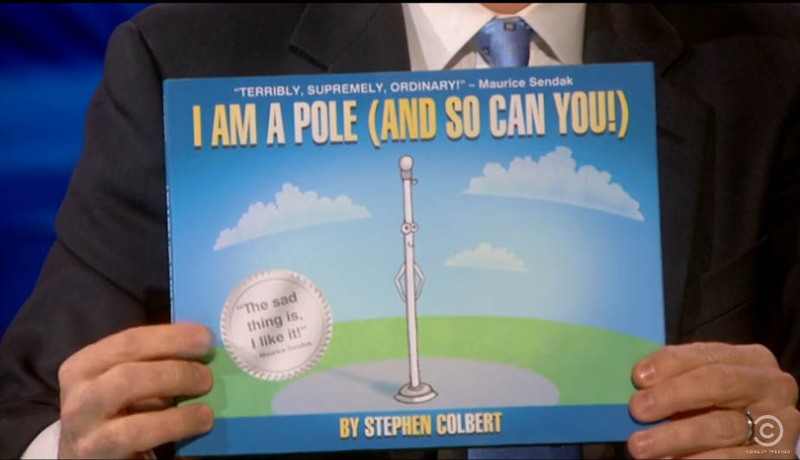 Colbert vows to publish I am a Pole and So Can You as an eBook. You can bet we will review it here as soon as it’s available! The interview spanned 2 episodes, so I’ve included the eBook-relevant portion first, and the first part of the interview (which is not appropriate for children) last. Posted on January 28, 2012, in eBook, Uncategorized. Bookmark the permalink. Leave a comment.